You know how Candy Spelling famously had a gift wrapping room in The Manor? Well, when I have my own home, instead of a gift wrapping room, I'm going to have a stationery room. 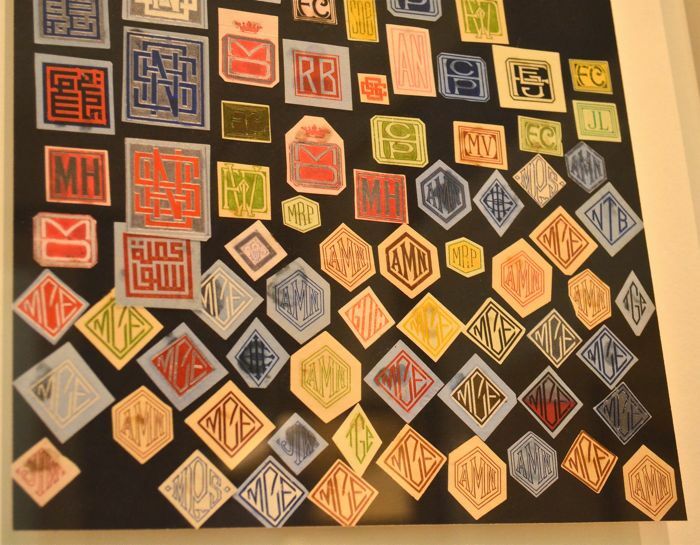 Shelves upon shelves of different types of stationery, with different monograms and styles and for all different types of occasions. My first personalized stationery had my name embossed in periwinkle blue. Over the years, I've tried different designs and colors. I've had ecru notes with red embossing, bright white cards with hot pink letters and taupe cards with my name in white. But I always seem to go back to my original periwinkle blue. 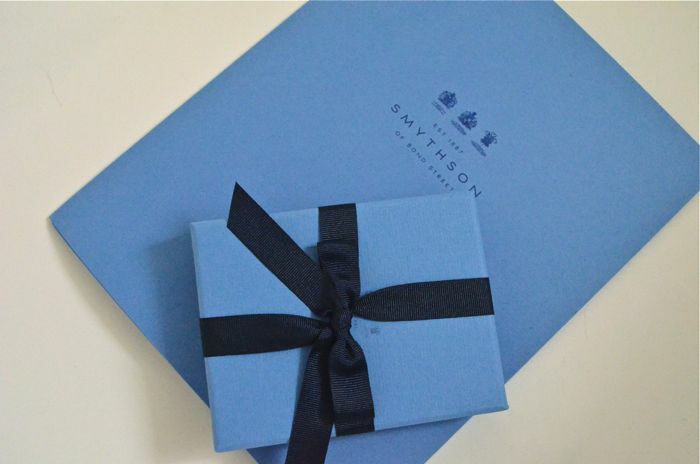 One of the reasons I have a special affinity for the store Smythson is that periwinkle blue is its signature color. 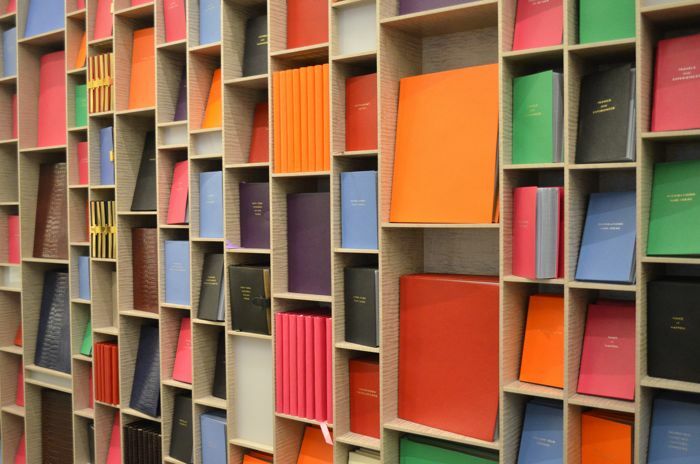 Smythson is London's paper product Mecca, and because I am a stationery devotee, I had to make a visit. Growing up, my parents had a rule that after I received a gift or an extension of hospitality of any kind, I had to write a thank you note within two days. One of my friend's parents wouldn't let her play with Christmas presents until she wrote a thank you note -- brilliant! 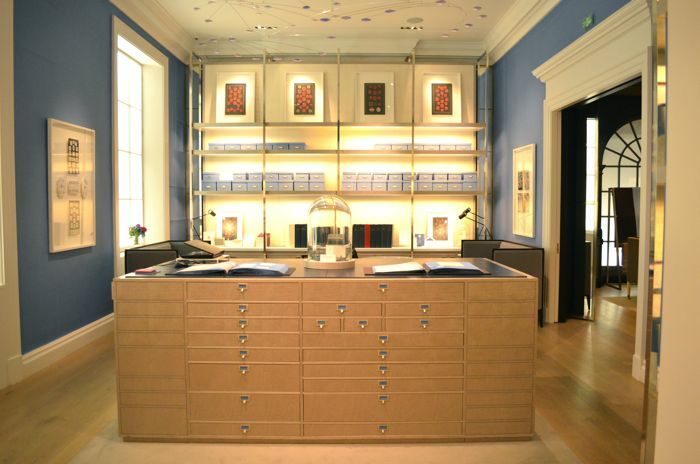 On this visit to Smythson, I didn't order any stationery. 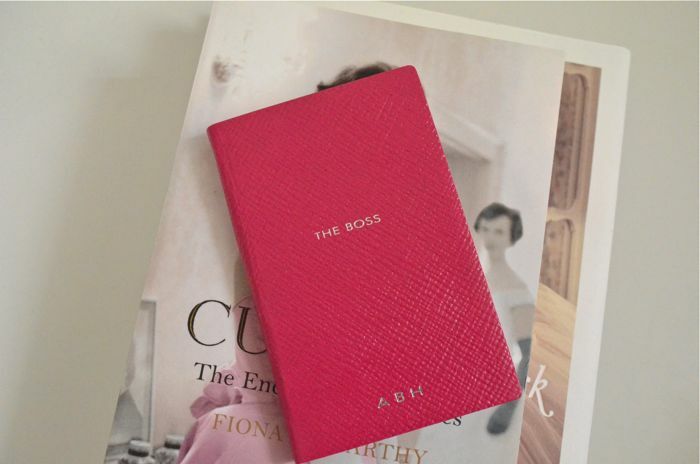 Instead I purchased the above book embossed with my initials. Don't you just love it? Ha! The book is bound in beautiful Panama leather. Smythson has had a collection of notebooks with cheeky titles like this since the 1960s. 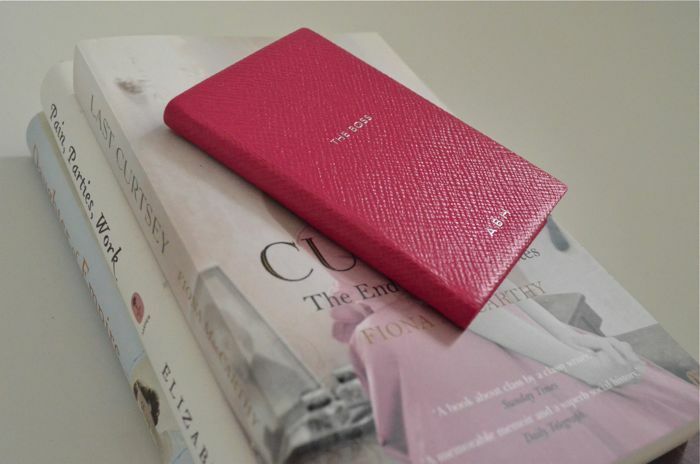 One of the first notebook titles was, "Blondes, Brunettes and Redheads," which continues to be one of Smythson's best sellers. A room like that would be amazing. Just imagine how much you could store and actually use, cause everything could be found. I love wrapping gifts myself, this would just inspire me to do it more!